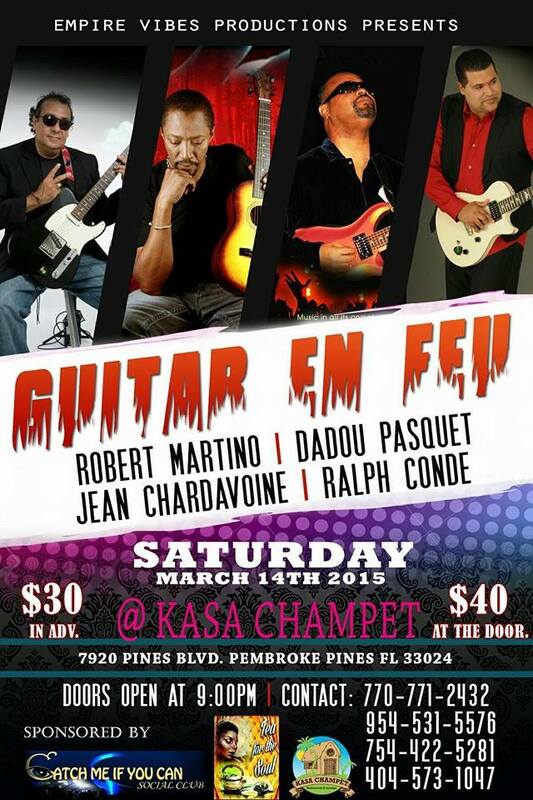 Five iconic guitarists; Dadou Pasquet, Ralph Conde, Roberto Martino, and Jean Chardavoine are here to play their hearts out for you. This is going to be the night of the guitar. Look forward to seeing you there.